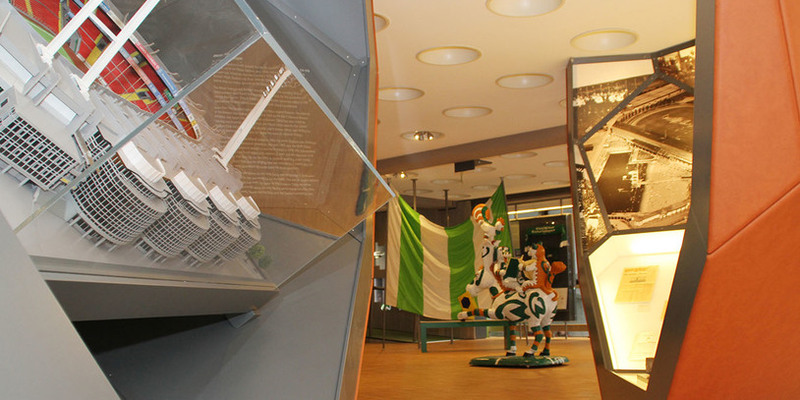 Werder Bremen club’s museum invites visitors to take a green and white trip back in time. It’s a journey that reaches back 116 years to the its founding in 1899 and explores all the highs and lows of the club’s history. The Wuseum highlights all of Werder’s great players, games and victories. The cinema and multimedia stations enables visitors to relive the most exciting and important Werder Bremen moments and even take a quiz to test their knowledge of the club. In addition to the championship trophies and German FA cups, learn all about what took place off the pitch. Favourite exhibits include the jerseys of Diego Armando Maradona and Horst Dieter Höttges. Also, little curiosities - such as the faulty valve that caused a power outage in the Weser Stadium and bought the 2004/2005 season to a standstill - are on display.